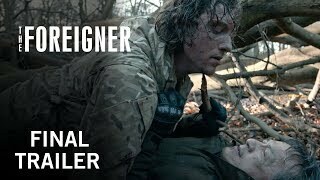 The Foreigner (film, 2017). A 2017 action thriller film with "R" rating by STX Films/STX Entertainment. Directed by Martin Campbell. Official Trailer. The Foreigner is a 2017 action thriller film directed by Martin Campbell. 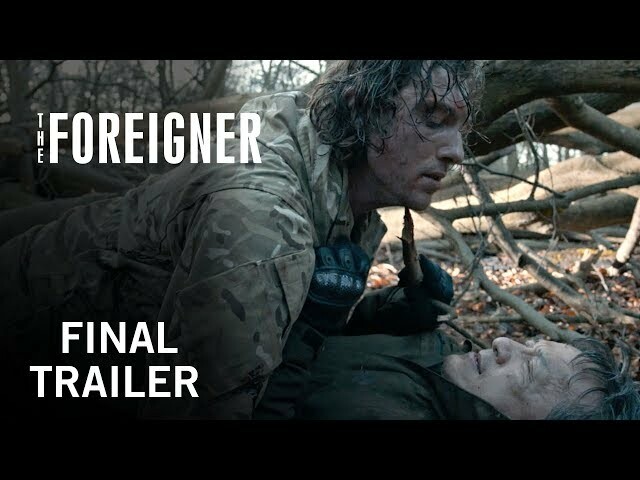 The Foreigner | Final Trailer | Own it on Digital HD Now, Blu-ray & DVD. Ngoc Minh Quan, a Chinese Nùng former Vietnam War special operations forces soldier, runs a Chinese restaurant in London with his business partner Lam. When his teenage daughter Fan is killed in a clothing store bombing, he seeks revenge. The bombing is claimed by a group calling itself the "Authentic IRA". Failing to get the names of the bombers from Scotland Yard, Quan next focuses on the Northern Ireland deputy First Minister Liam Hennessy, who speaks publicly about his status as a former IRA leader while condemning the bombing. Quan eventually leaves for Belfast and seeks out Hennessy, who claims to have no knowledge of the bombing or its perpetrators. Quan does not believe him and sets off a homemade bomb in Hennessy's office as a threat unless he gets the bombers' names. Hennessy tries to identify the bombers with help from his contacts, but the rogue members catch on and outwit him. Quan observes Hennessy seeing his mistress, Maggie, and photographs them. Quan then brings the fight to Hennessy, hiding in the woods outside his Belfast farmhouse and attacking it with more explosives. As Hennessy's men attempt to track him in the woods, Quan uses traps to disable them, but is shot in the shoulder and flees. After Quan ambushes Hennessy in his house and gives him 24 hours to deliver his daugther's killers, the latter sends his nephew Sean, a Royal Irish Regiment soldier, after Quan in hopes that his tracking skills can be used to stop him. After a second bombing on a double-decker bus, Hennessy negotiates with British politician Katherine Davies and promises the capture of the bombers in exchange for the pardoning of several of his former IRA comrades. Meanwhile, Hennessy receives intel on the bombers and relays the information to Sean and police. After a knife fight in the woods, Quan captures Sean, who names the bombers and their location. Quan then lets Sean go. Hennessy interrogates his head enforcer McGrath, discovering that the true mastermind is Mary, Hennessy's wife, who also hired Maggie, who remains angry at the British for the death of her little brother and resents Hennessy's working for them. Hennessy executes McGrath for his betrayal and for involving his wife and mistress, then rebukes Sean for leaking information to Mary. Principal photography commenced in January 2016. 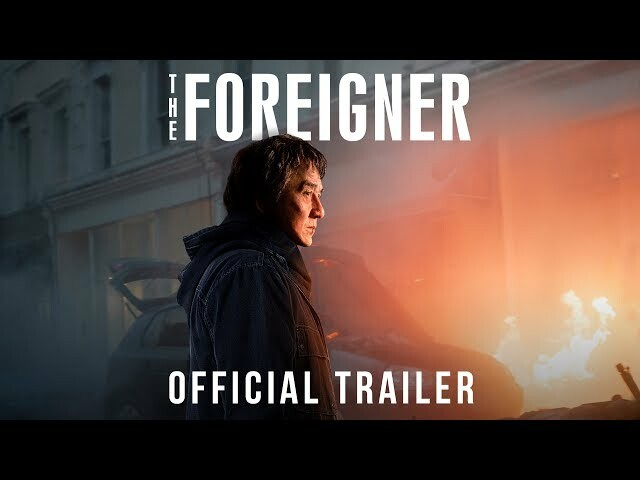 The film The Foreigner was scheduled to be released by STX Films and STX Entertainment on September 24, 2017 (Beijing), on September 30, 2017 (China), on October 12, 2017 (Portugal), on October 13, 2017 (United States) and on January 11, 2018 (Brazil). The duration of the film is 114 minutes. With a budget of $35 million, the film grossed over $145.4 million. The Foreigner got high rating from critics. The audience also likes the film. Audiences polled by CinemaScore gave the film an average grade of "A-" on a scale ranging from A+ to F.